Ever since I was a little girl my life has been filled with Mariachi music. It was part of every wedding reception and most holidays. I have a few relatives who partake in Mariachi bands and they would sometimes do impromptu sessions at my grandmother's house. There is nothing like having a Mariachi band play in front of you. The emotion that comes with every strum of the guitar. The horn yearning for it's owner. The accordion lulling your heart. The vocalist belting out the lyrics to a song everyone in the room knows and is singing along to. It's magic and creates an atmosphere of love and union. 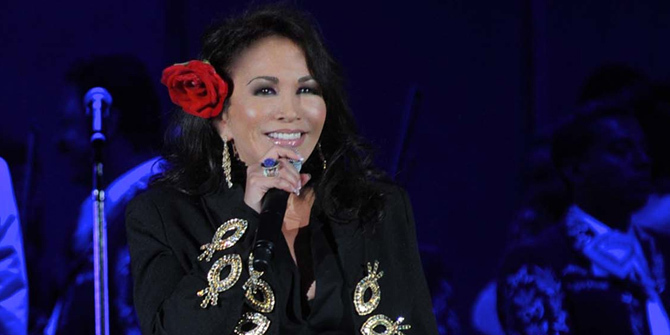 the festival allows for generations to share in the tradition that is Mariachi music. It is for friends, family, and strangers to come together and celebrate the beautiful music. This year’s festival will feature Mexico’s legendary Mariachi Vargas de Tecalitlan; Grammy nominee Mariachi Los Arrieros del Valle from Texas; the popular Mariachi Estrella de Jalisco; and Mariachi Los Reyes, both from Los Angeles. Mi Tierra Ballet Folklórico, will be performing with their amazing choreography and beautiful costumes. How did you meet? How long have you been working/playing together? Suemy, Stephanie and Nelly met through working together in previous mariachi groups. Around 7 years ago, none of them had any commitments to any groups in particular. In need of money, Stephanie and Suemy called each other on a weeknight and decided to drive out to a restaurant in Pasadena and attempt to play table to table for tips. However, the guitarron (bass) was needed in addition to the guitar and violin, and since Nelly was a bass player in town that did not belong to any particular group, she was asked to come along. We have been working/playing together for 7 years. Suemy: I like to listen to a violinist named Stephane Grappelli. Also, my parents are a great inspiration in my life since they were the ones that introduced me to music. Stephanie: My home life is pretty inspiring since between my husband and I are both musicians and our taste cover a pretty large range. Cool chicks like Ann Wilson and Bonnie Raitt are inspiring and so are the super divas like Paulina Rubio. Musically, Venezuelan group Recoveco, Remedios Amaya and old Mariachi Vargas recordings. Nelly: Great bass players such as Cachao, Charles Mingus and Ryan Cross are an inspiration. The different genres and styles of music they perform(ed) are motivating. What is your favorite moment in your careers so far? Being nominated for a Latin Grammy. Going to Las Vegas, walking down the "green" carpet and sitting in a section along with other grammy nominees such as Pepe Aguilar and Juanes. What is one indulgence/hobby/self care you partake in when not working? Suemy: If i'm very tired (from gigging) I like to lay on my bed and watch the Food Network or the Travel Channel. If i'm not doing that, then i'm practicing playing the electric guitar, or arranging trio ellas vocals. Stephanie: I'm a super fan of classic ballet. Other than that I'm an extreme homebody. My motto is stage makeup or no makeup. Nelly: I love being active and if that can include a workout then I'm super happy. I go for a run every other day and in between those days ill mix it up and go play catch with my son, bowling, or simply call it a deep cleaning day at home. With whom would you like to do a duet? We have always wanted Diego Cigala to either sing or record with us. We are big fans of his style of singing. I cannot wait to watch them perform. I've always been a huge fan of women Mariachi bands. There are very few in this category, which is predominantly male. To see them perform at the Hollywood Bowl is a dream come true for me. I look forward to belting out tunes right along with them. 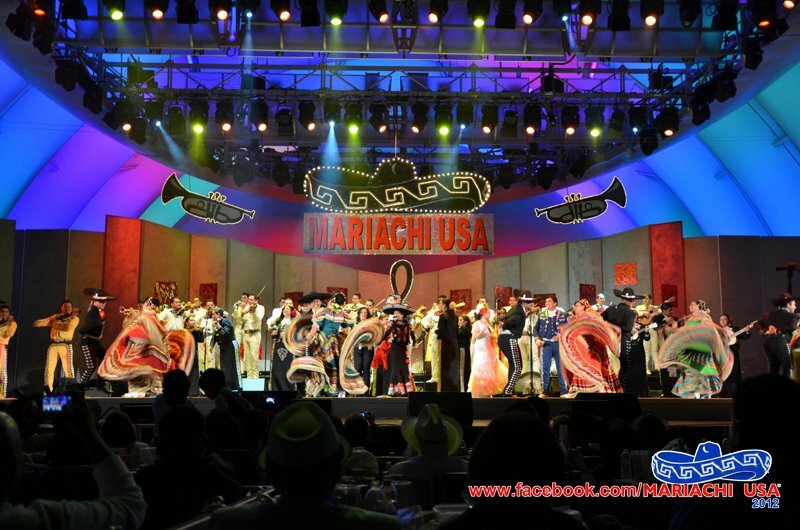 The MARIACHI USA Festival will feature a tribute to Mexico’s legendary composer and performer Jose Alfredo Jimenez. This will be topped off with a spectacular fireworks finale and 17,000 fans singing along to “El Rey”, “Volver Volver”, “Viva Mexico” and “La Negra”. Check out and like their Facebook page, follow them on Twitter, and YouTube some of the previous performances, which are sure to warm your musical heart. Disclosure: I am being provided complimentary tickets to this year’s Mariachi Festival.